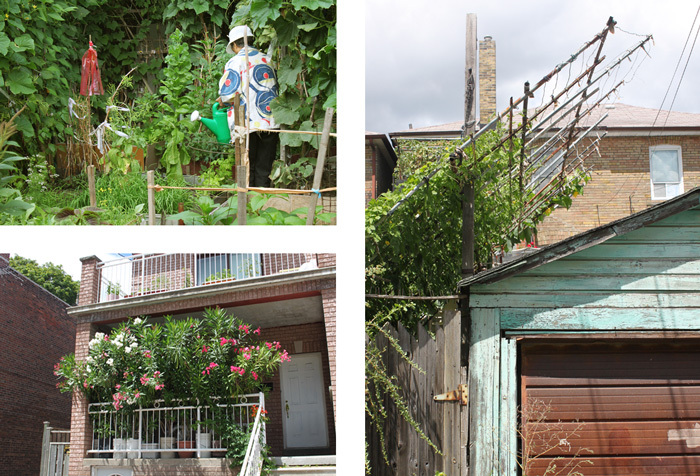 The gardens of Toronto's ethnic communities are conspicuous, unrestrained and remarkably productive spaces. 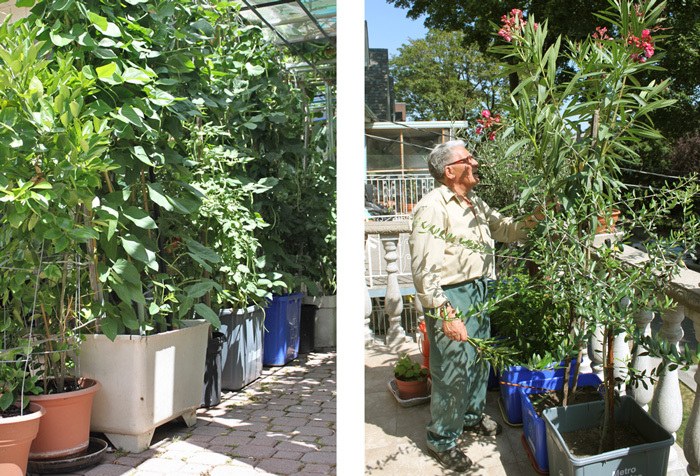 As urban gardening has taken hold, propelling many to grow their own food, the gardens of immigrants can serve as wonderful models of gardening techniques and traditions in tight and limited situations. The Chinese, South Asian, Portuguese and Italian communities represent some of the largest cultural groups in the city. 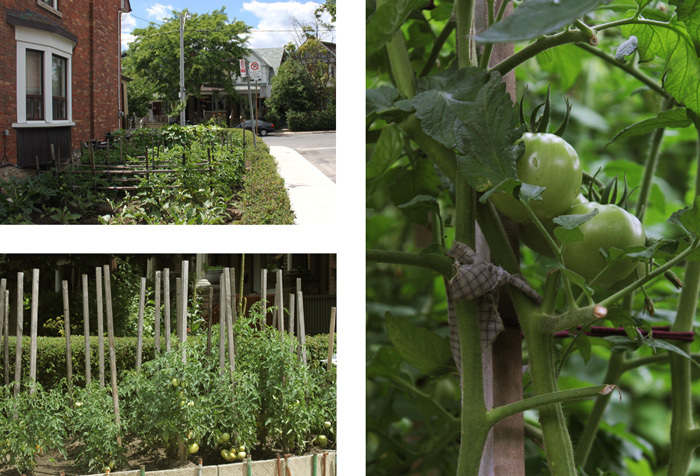 And their diverse gardens serve as a source of food and memories from the home country. Stakes and trellises dominate, as do plastic buckets and recycling bins. Pipes and lengths of wood are tied with wire creating a lattice to support ever-growing vines. 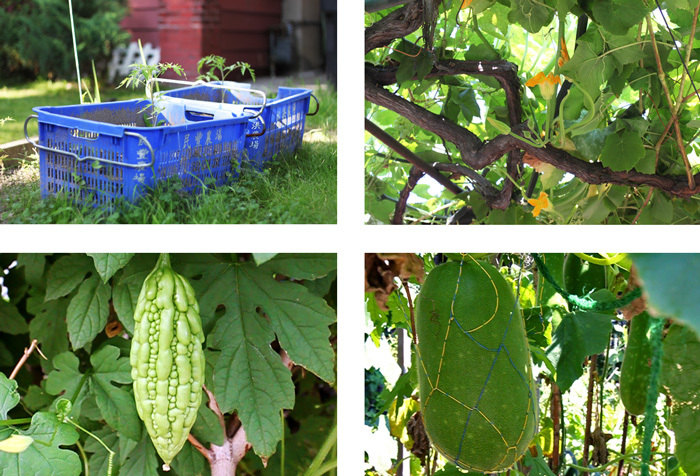 Bitter melon, figs, grape and roma tomatoes abound. Beyond hi-yielding farm plots, Portuguese topiary, fountains and containers of oleander decorate front yards and terraces. 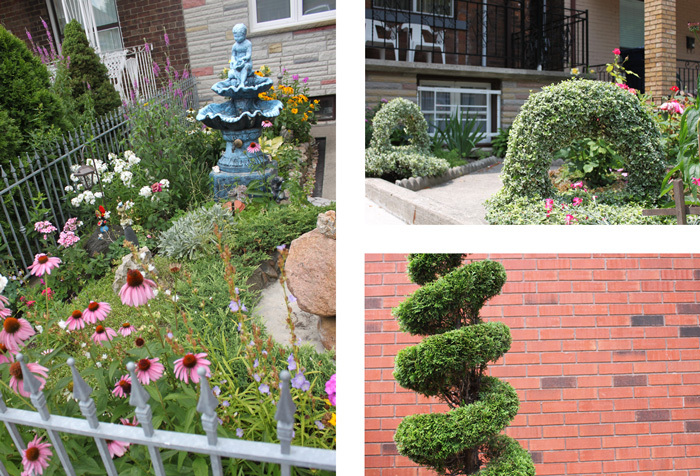 The vibrant and freed-up gardens of Toronto's ethnic communities have long characterized many of the city's neighbourhoods.